No other car currently on the market is able to capture the curiosity of the greater public like the Tesla Model S P85D. It is a means of transport like no other, breaking a few world records in the process. 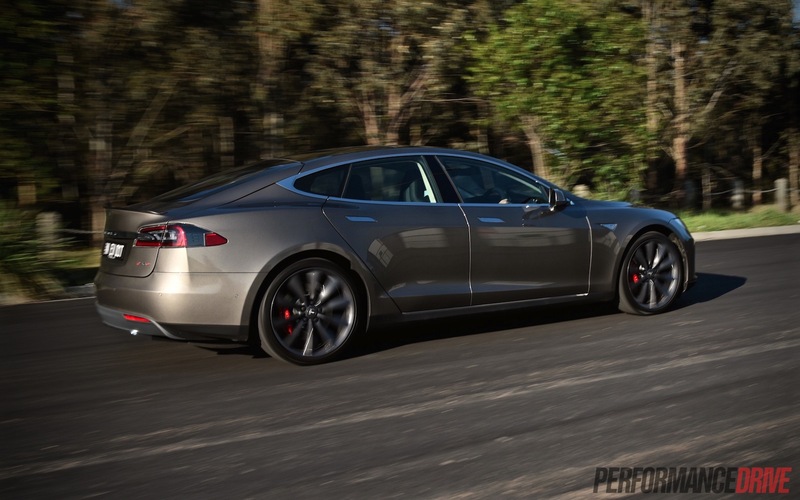 For those who don’t know what it is and who builds it, the Tesla Model S is a fully electric vehicle (no petrol engine at all) built by Tesla in California. The company is a technology giant based in Palo Alto, near where Google, Facebook, and Hewlett-Packard were born. At the top of the company is a man named Elon Musk. He was the man behind other technology-focused commodities such as PayPal, as well as forward-thinking entities SolarCity and SpaceX. He now has his sights set on revolutionising the car industry, the oil industry, and city infrastructures. It’s a big task and the company has been at it, although not as well publicised, since 2003-2004. 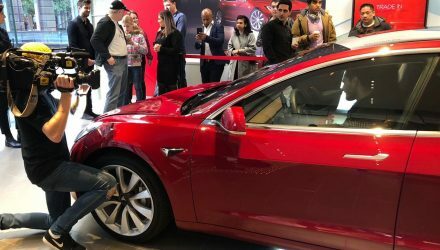 It is now in full swing and is easily the most popular electric vehicle producer in the world, including – more recently – in Australia. 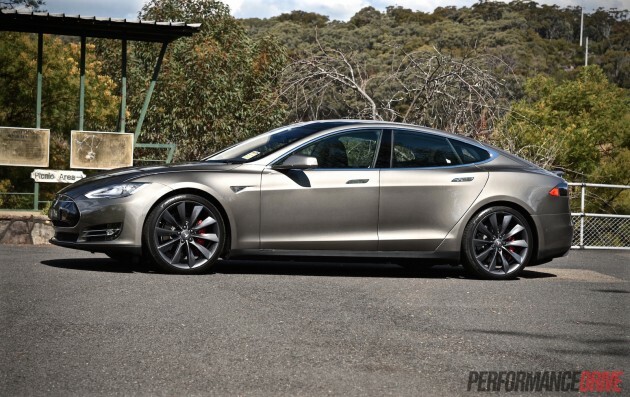 Tesla sells one model line at the moment; the Model S. It’s a large luxury sedan. An SUV ‘Model X’ is coming next year, and a mid-size ‘Model 3’ is coming a bit later. The car we’re testing here is the now-famous Model S P85D. 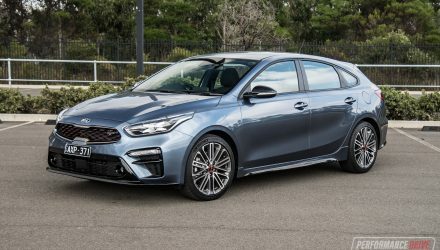 It holds the title for being the quickest-accelerating production four-door sedan in the world. 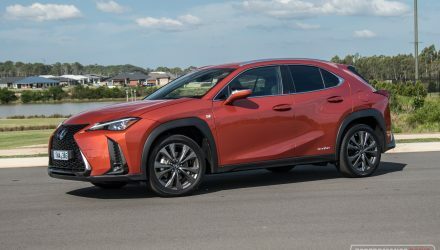 It literally comes with a Sport driving mode and an Insane driving mode, the latter of which sees 0-100km/h done and dusted in just 3.3 seconds (claimed). More on that below. 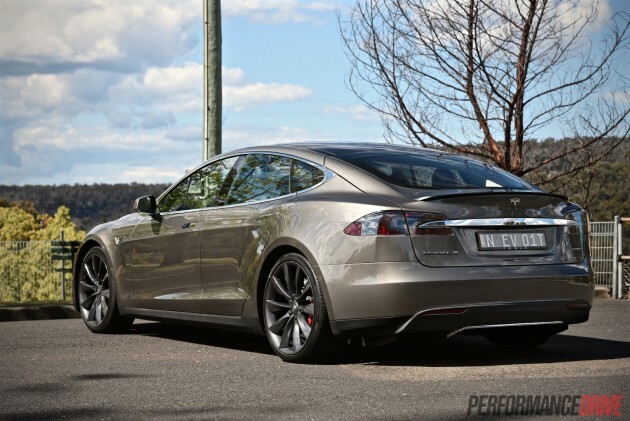 Prices for the Model S start from a rather steep $121,342 (before incentives) for the base model 70D. 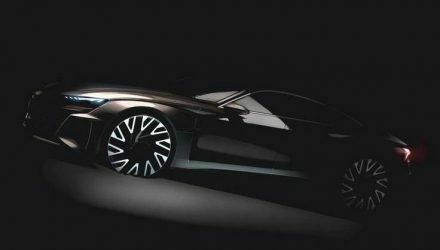 It offers a range of 420km with its 70kWh battery system, and can perform 0-100km/h in 5.8 seconds using rear-wheel drive and a motor output of 235kW. 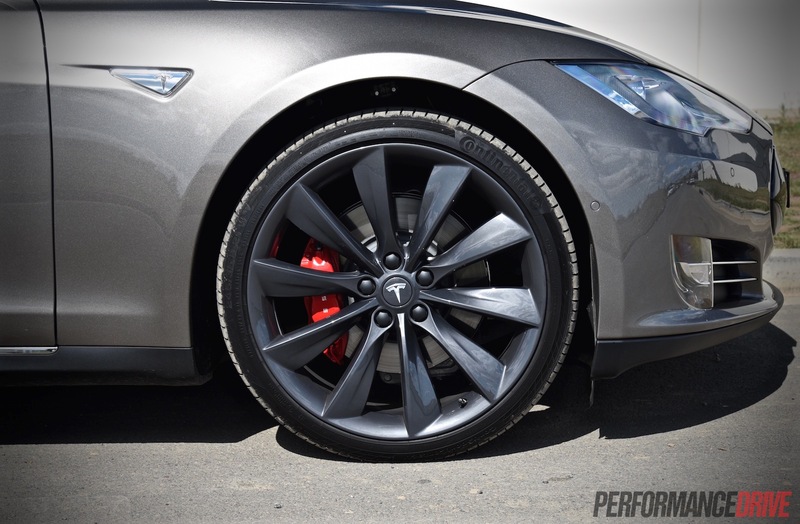 The P85D is the dual-motor version, which gets a motor for the front wheels and one for the rear wheels (AWD is optional on others as well). It starts from $190,817 (before incentives and on-road costs). 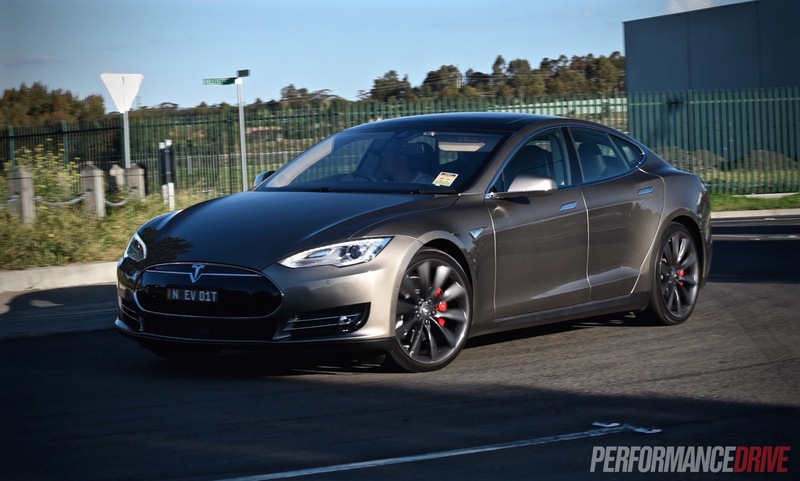 Buyers can opt for the P90D which boosts the driving range from 490km to about 520km. 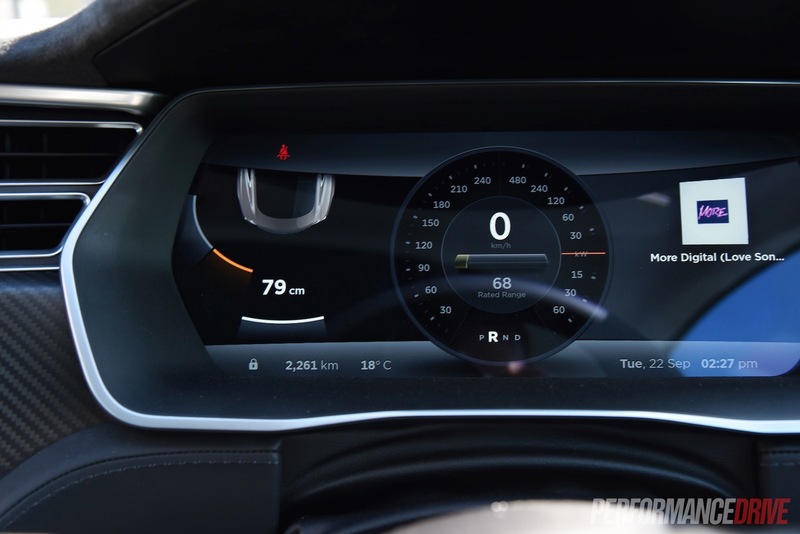 Buyers can also option for the ‘Ludicrous Speed’ driving mode ($14,300) that sees 0-100km/h over in just 3.0 seconds. This makes it quicker than some half-a-million-dollar supercars. 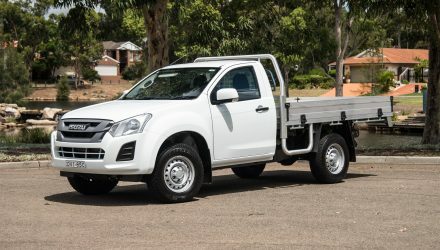 At the time of writing the option is available to order but it is yet to officially arrive in Australia. Okay, so the price is quite high. Mister Musk has said the company is looking to reduce prices in the future as the technology becomes more widespread. Even still, this is a large luxury sedan and if you compare it against top rivals such as the Audi RS 6 and BMW M5, both of which are considerably slower, the prices, in Australia at least, stack up fairly. This is an unquestionably luxurious vehicle though. 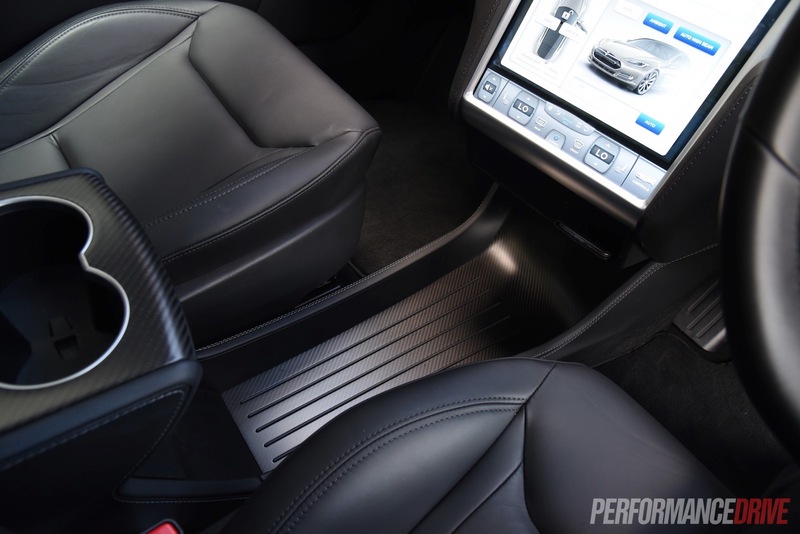 The interior is filled with fine leather and specially-sourced wood that comes from forests that are as-near-as-possible to the manufacturing facility to reduce the overall environmental impact of production, and buyers can option for more exclusive trimmings such as the full carbon fibre inserts as featured on this test model ($1885). 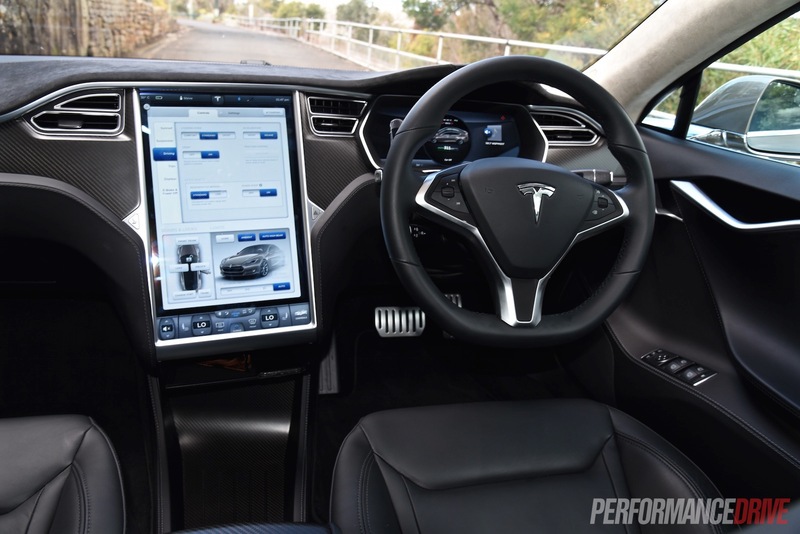 When you first step into a Model S you can’t help but at least burst out a little smirk of disbelief, as the sheer size of the touch-screen interface dominates the dash. 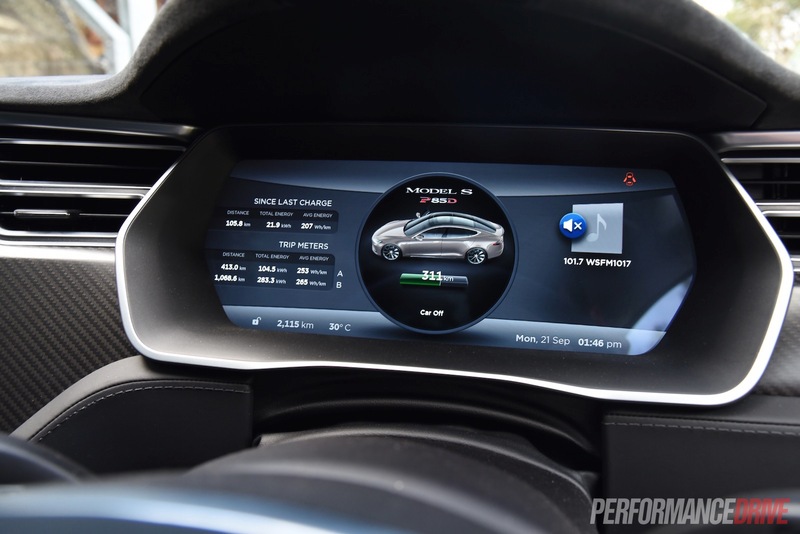 It measures 17 inches, to be exact, and is officially the largest touch-screen interface ever fitted to a production car. 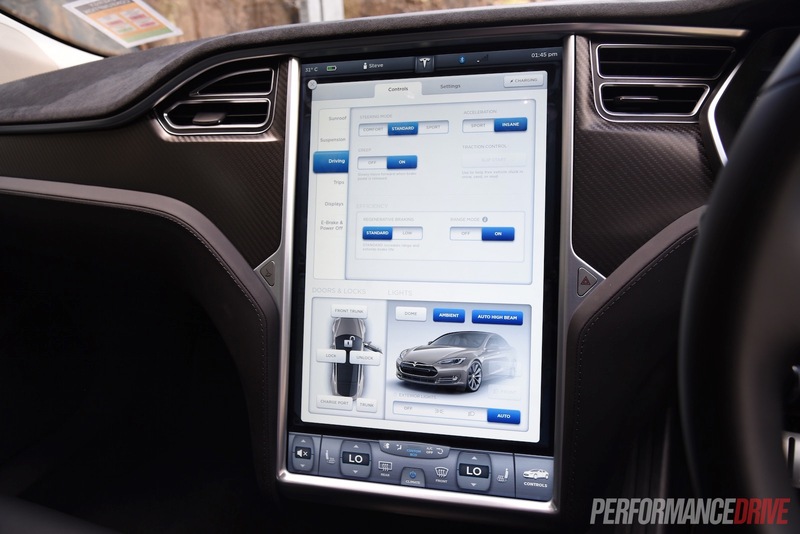 While other car companies fuss about creating special menus and custom graphics and joystick controllers, the system in the Tesla simply blows them all out of the water with utter simplicity. It works just like an iPad. There are no fancy menus to be frustrated by, and the system even uses Google Maps and can be programmed to include all of your favourite restaurants or other places of interest, just like Google Maps on your computer. It all makes you think, why hasn’t any other carmaker gone for this? It is so easy to use. Mind you we did experience some delays during in-screen selections, jumping from function to function. We’re sure an update or simply a good old-fashioned reboot could have fixed the issue. 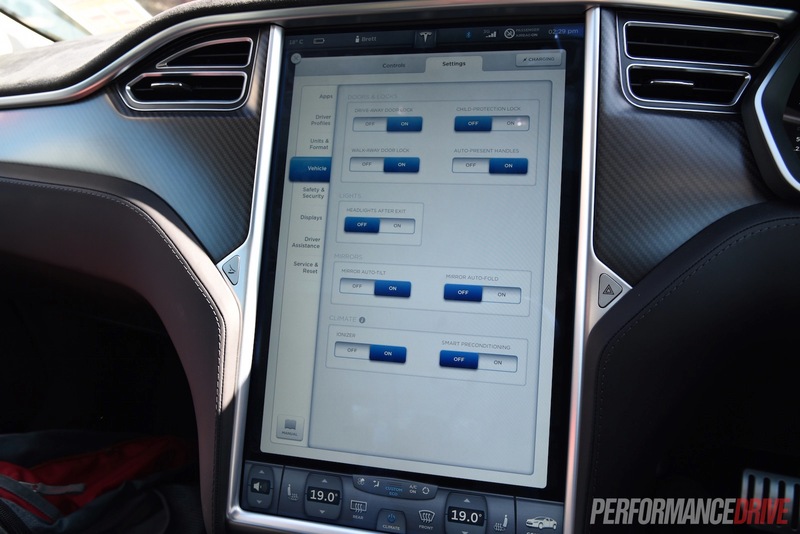 Perhaps the most impressive part about the system is the fact it can be updated in your garage. Yep, the car connects wirelessly to the internet via your modem. 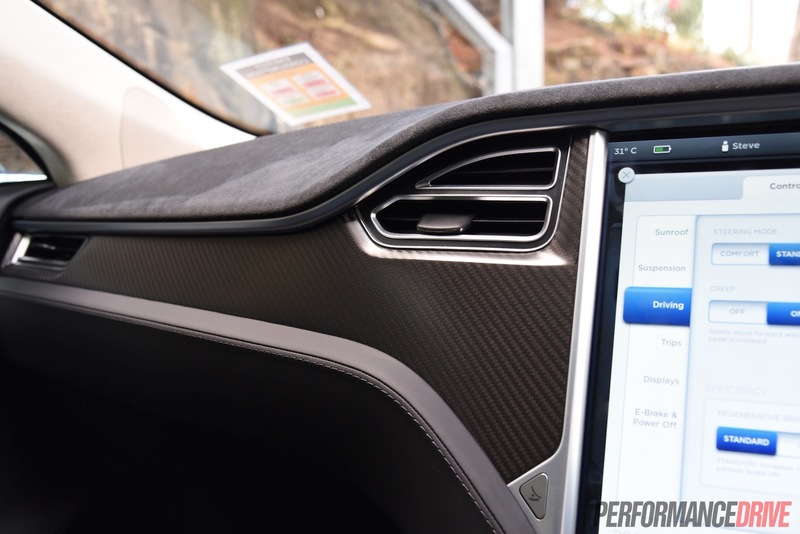 Tesla sends out updates that you simply need click on to install. It really is a giant computer on wheels. And a fast one at that. 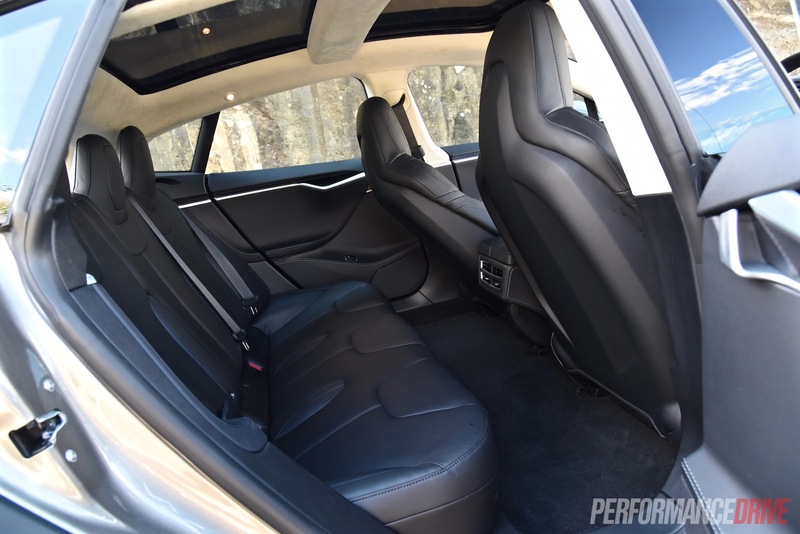 In terms of practicality, the Model S offers the most spacious and easiest-living cabin layout of all rivals in our opinion. The floor is completely flat, even in the back, with no transmission tunnel invading middle-seat legroom. 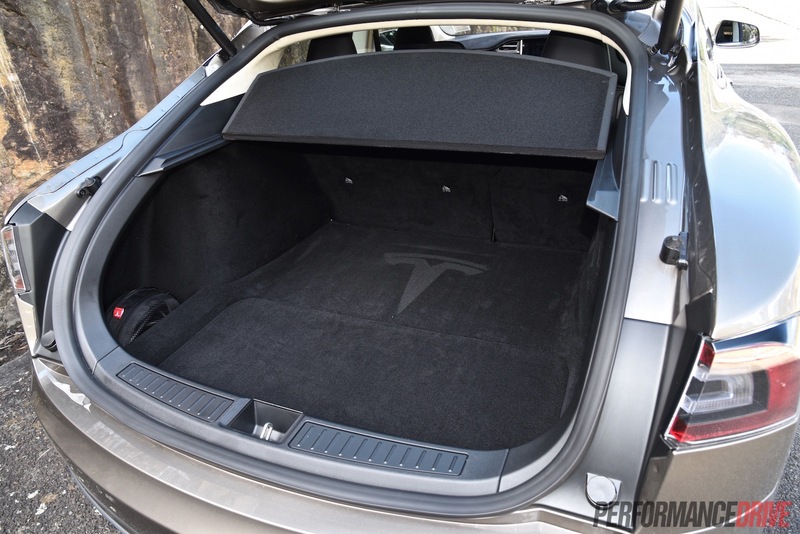 Boot space is also enormous, opening up 774 litres and expandable to 1795L. If there is any criticism we have to the interior it is that it’s not as pampering or cosy as some of the rivals. The seats are quite firm and the sheer openness of the cabin environment isn’t the ‘warmest’ and most intimate of settings. Let’s talk about the performance first. 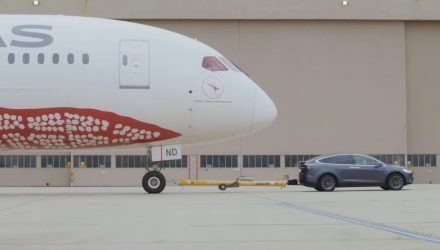 After all, it is the world’s quickest production sedan. The best way to explain the acceleration and forward-driving character is to say that it is electric in the rawest sense of the word. The throttle works like a switch, so the more you push it the faster it goes. And it’s instant. If you push the throttle 50 per cent, you’ll get 50 per cent acceleration, immediately. 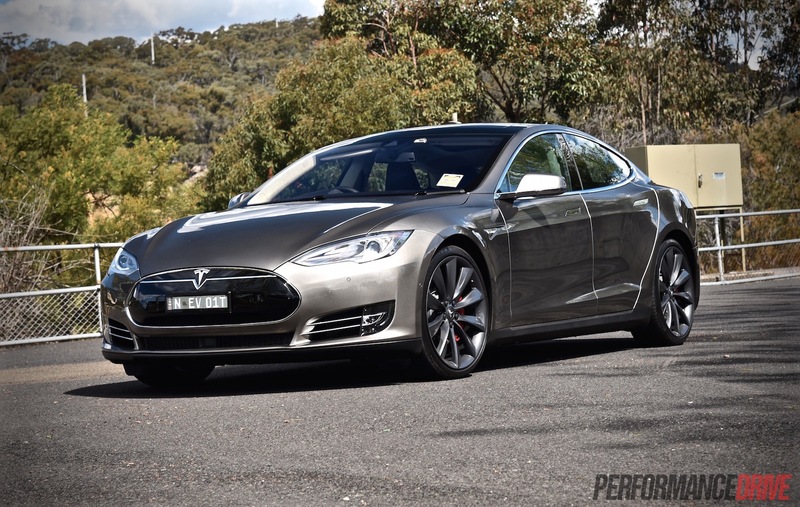 No other car on the market is able to provide anywhere near the sort of response of the P85D. 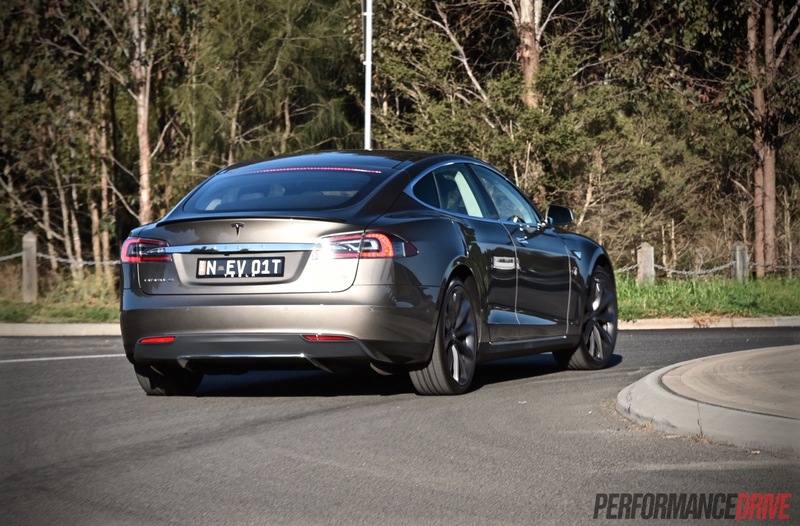 Flat out off the mark, the Tesla performs 0-100km/h in 3.3 seconds officially. 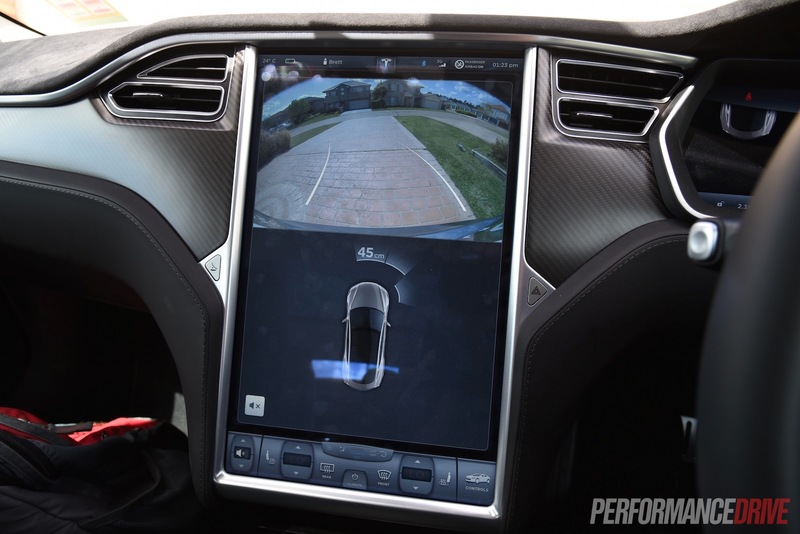 Our VBox Sport recorded the sprint in 3.4 seconds using the Insane driving mode, and 3.9 seconds in the default Sport mode. It must have been easy for the engineers to come up with a name for the quickest mode. 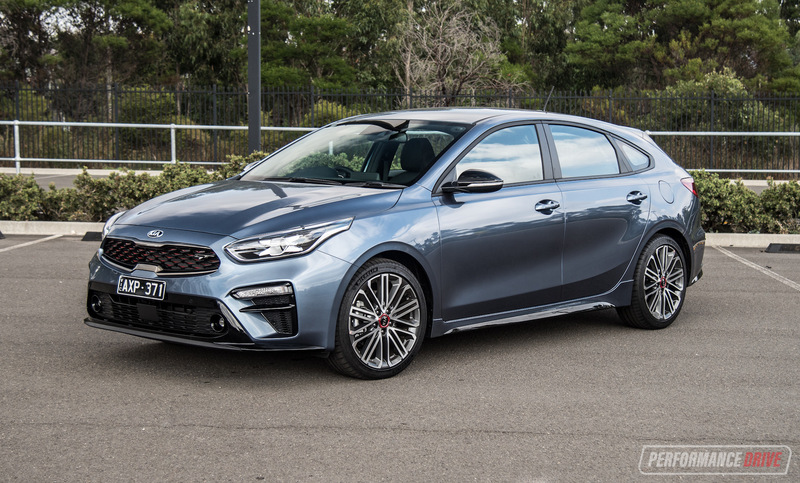 The first phrase that pops into your head when you floor it is inevitably something like, ‘this is freaking insane!’ Even at 3.4 seconds, it is just 0.2 seconds slower than the latest Lamborghini Huracan V10 supercar. This is extremely impressive, and equally addictive. 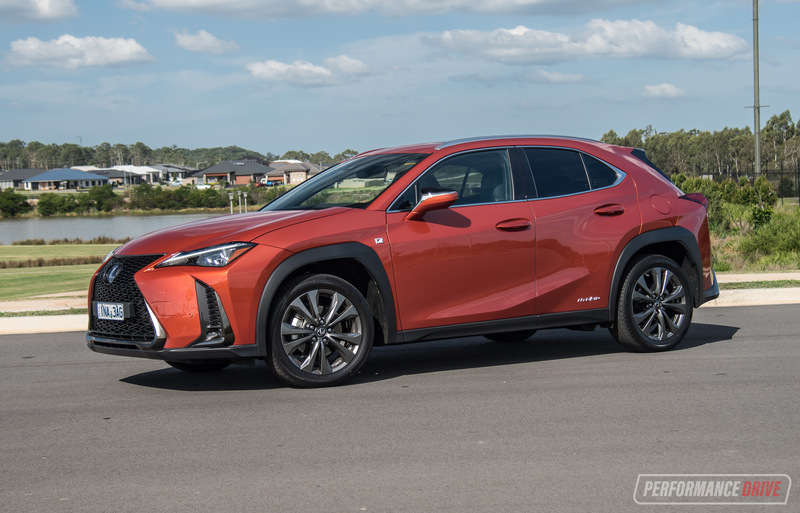 In fact, without meaning to encourage any sort of dangerous driving, we enjoyed pulling onto highways and out from side streets to instantly catch up to the moving traffic. From a set of traffic lights, the car can reach 60km/h in just 1.9 seconds – it takes longer to read this sentence. 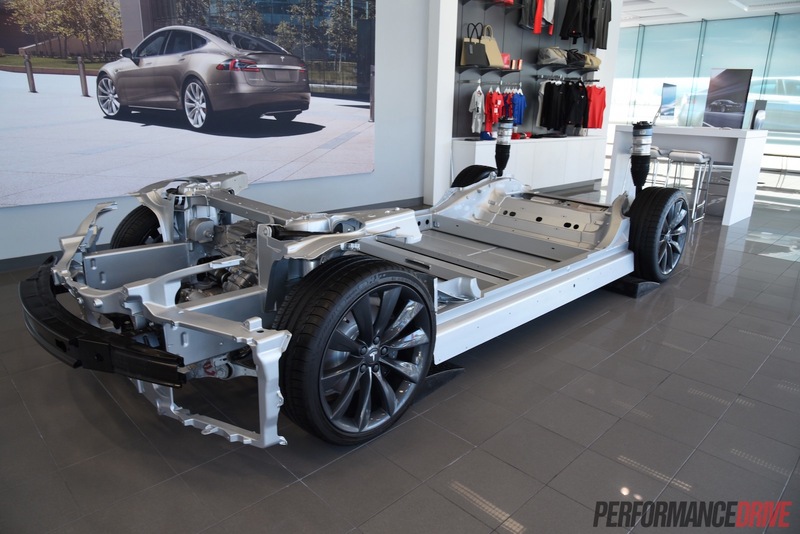 Tesla would have had to fit very heavy-duty drivetrain components to support such bending of laws of physics. 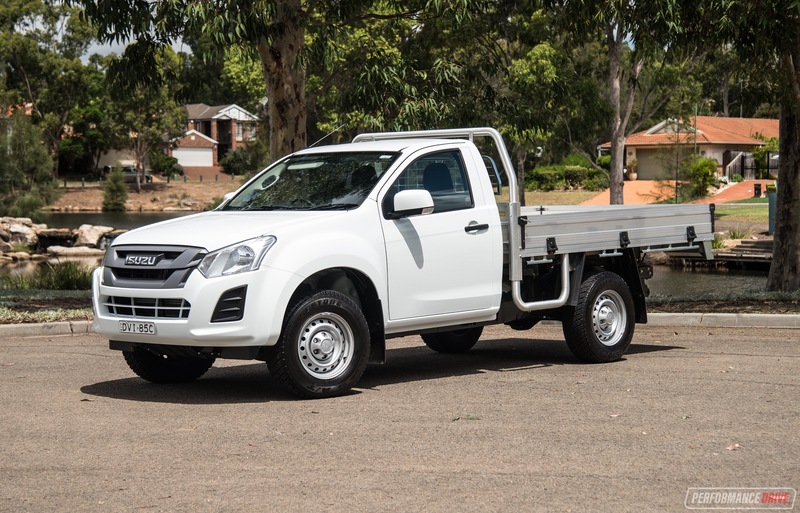 With a kerb/tare weight of 2187kg, the amount of pressure on the axles would be immense. All fuel-powered engines need to rev to generate torque, with kilowatts mathematically being a result of torque multiplied by revs. 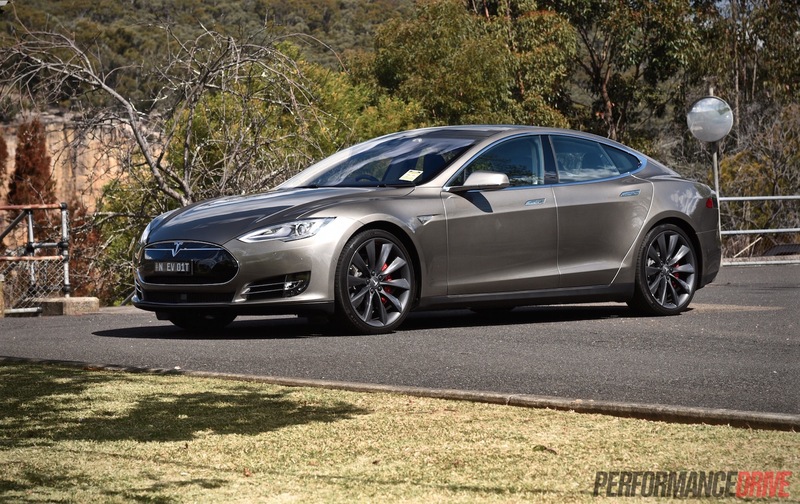 In the P85D though, the maximum torque of 967Nm is available instantly. Well, we need a scientist or professional electrician to explain it further, but as far as we know it only takes fractions of a second to reach maximum output. If you love torque, this car will be your paradise. Surprisingly, there is no wheelspin at all off the mark. It just goes, without hesitation, and almost silently. Part of the surreal feeling comes from the silence contrasted by the relentless thrust towards the horizon. Roll-on acceleration is our favourite though. From around 20km/h you do need to be careful if you floor it as it tends to mess up all of your belongings that are inside the cabin, including your organs. Your phone is easily dislodged from the cup holder or centre console, or wherever you place it. Coins are sent flying, and if you attempt to drink your coffee, it will end up all over your face and your lap. Check out our video below showing the external view of roll-on acceleration. The car hunkers down and shoots off like some kind of intense roller-coaster ride. It also makes an eerily shivering noise as it barges the air in front out of the way. So, it’s bloody fast. Ridiculously fast. We’re definitely convinced it is the quickest production sedan in the world. What about the rest of the driving character? Is it luxurious? Is it comfortable? And is it easy to drive? 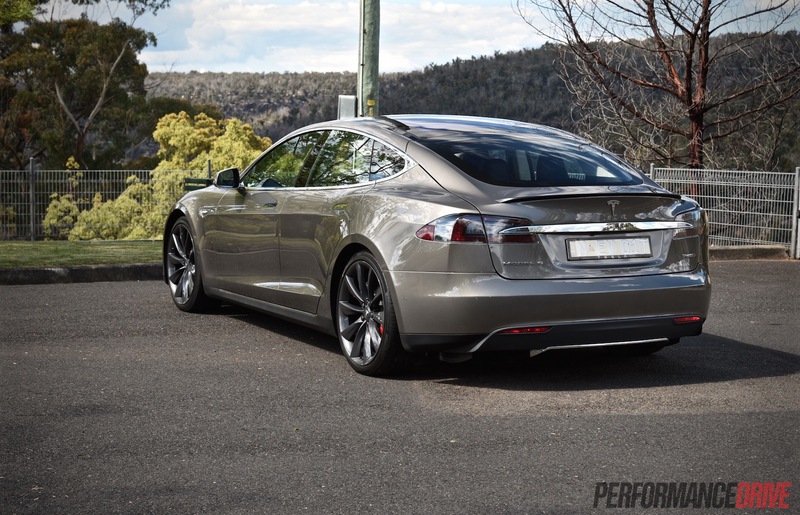 In terms of comfort and luxury, the P85D is at the sporty end of the ride quality spectrum. It doesn’t mind soaking up a few bumps here and there, with most doing very little to upset the big heffa’s direction or stability. 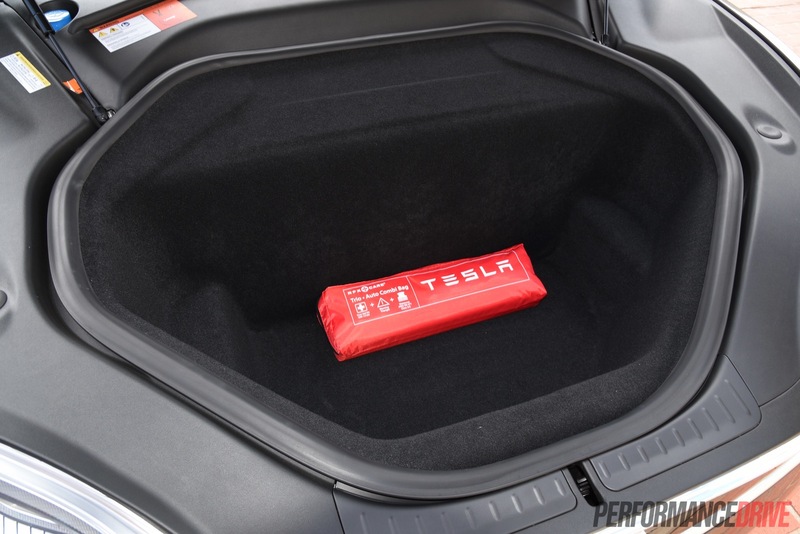 This test car features optional 21-inch wheels too. They simply roll over creases and shallow potholes like a steamroller. 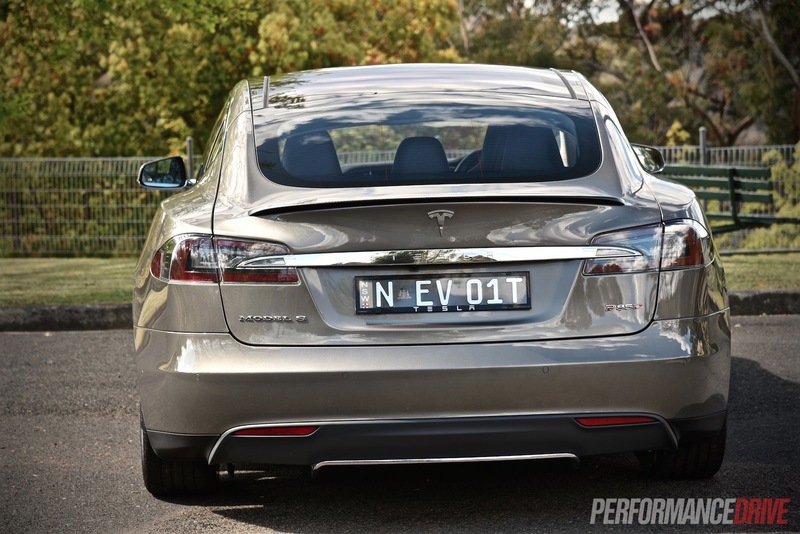 It is not as soft or as supple as the Lexus GS or Jaguar XF, and it is not as agile as the BMW 5 Series. Instead, it sits somewhere in between we think. Some of that steamroller character comes from the weight. You can feel it through the steering wheel and when making snap directional changes. There is virtually no body roll at all. It just rolls around corners like a heavy train. 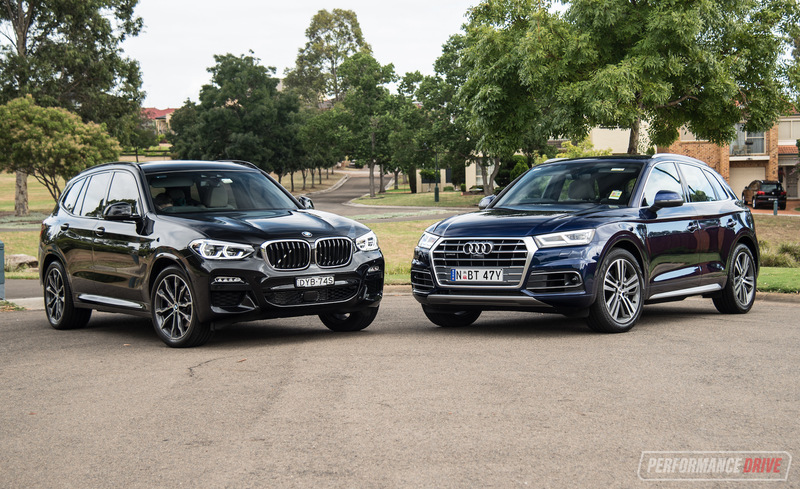 In our opinion, a bit of gentle body tip does make a car more engaging as this kind of communication often packages together some details in terms of how the tyres are coping. 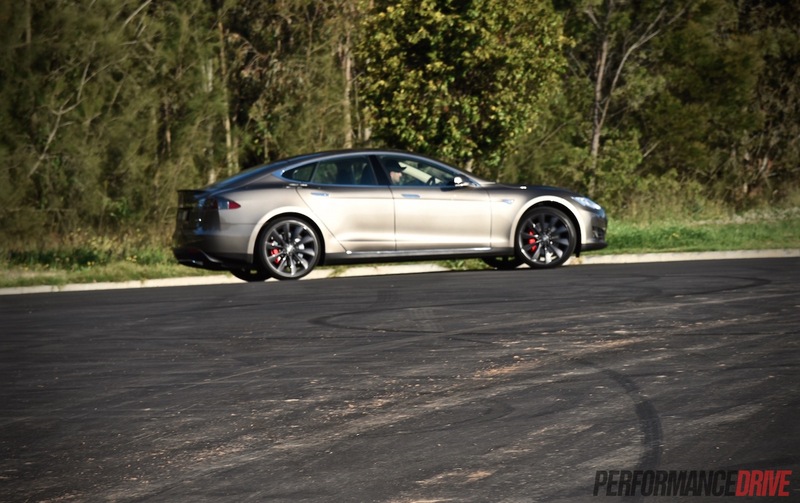 In the P85D, it feels like it can handle huge cornering speeds, but we would hate to push it right to the limits as it would likely surprise us with sudden oversteer or understeer. In saying that, we pushed it as hard as you would ever want to on a public road and it held on confidently. 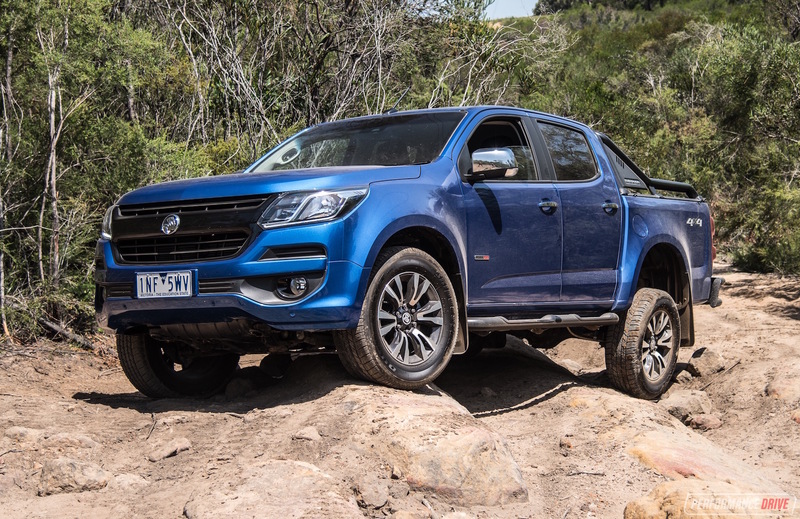 Again, the agility and engagement, specifically, is not as high as it is in the petrol-powered rivals. We would love to take the car onto a track though to discover what sort of g-forces it could produce around corners, compared with the rivals. We’d be betting on quite high. 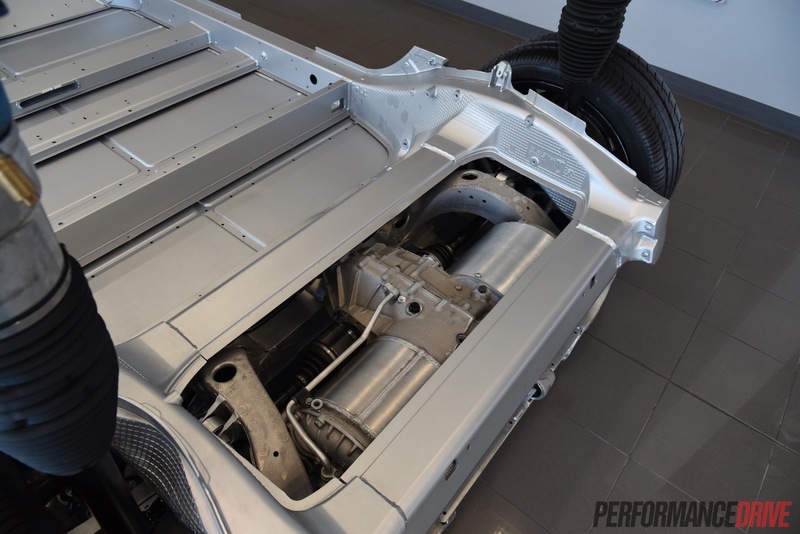 Like the regular Model S, the P85D offers various economy- and practicality-focused functions, such as two-stage regenerative force. When you back off the accelerator, the motors load up to recharge the battery. This can be slackened off if you don’t like the braking nature of this. 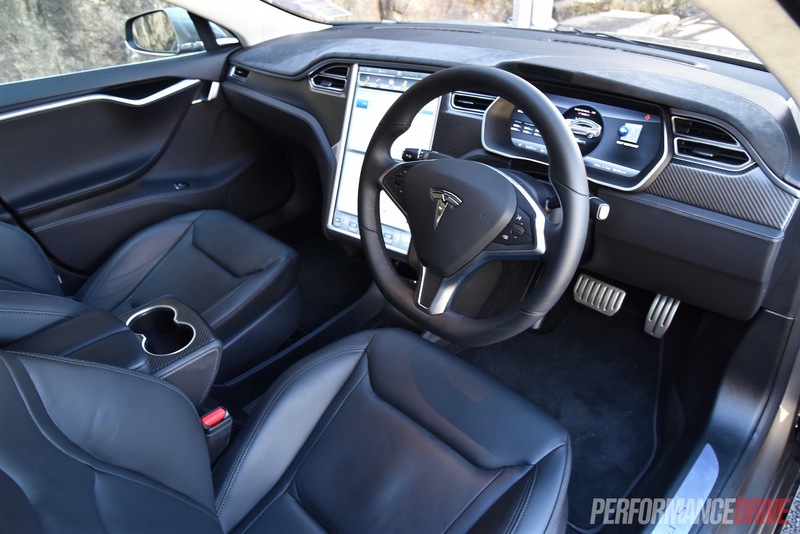 You can also select a creep function whereby the electric motors will apply a very small amount of power to the wheels to move the car forward when you aren’t on the brakes or on the accelerator, mimicking a regular automatic vehicle. 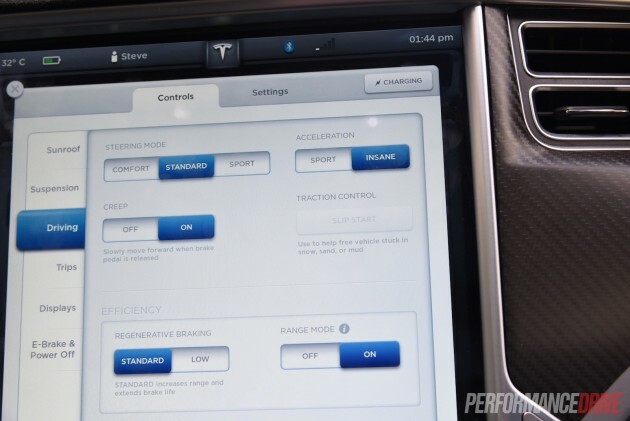 When the function is switched off the car will sit still when no power or braking is applied. 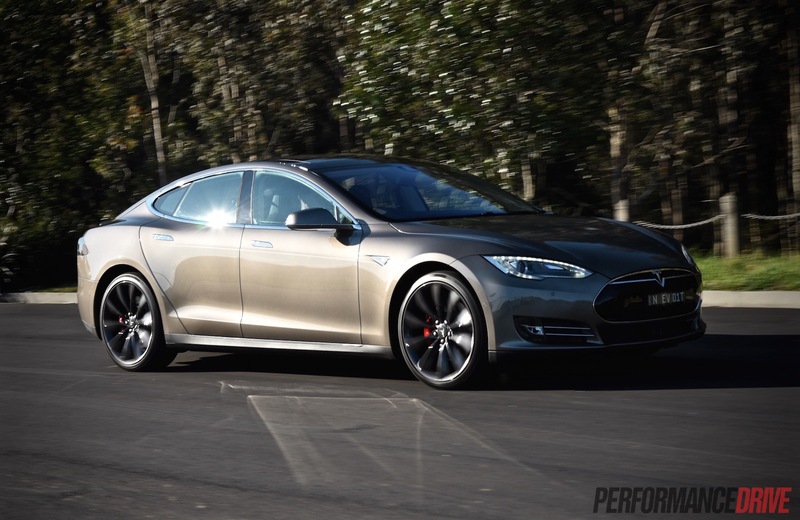 We’ve never wanted a vehicle to keep as much as the P85D. It is such an interesting and intelligent, yet simple vehicle to experience. And it’s hilariously quick. 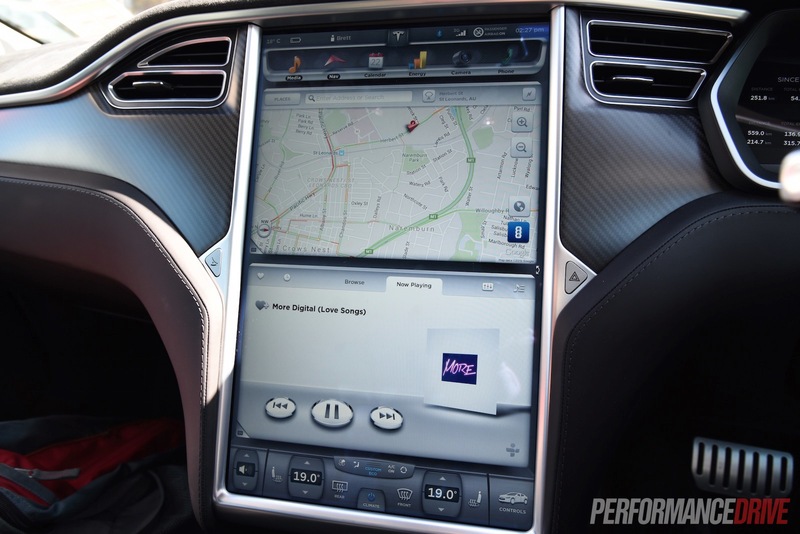 We love the clever technology and the fact it can be ‘updated’ in your garage. The only concern we have is range anxiety. And it is a real anxiety. During our time with the car we couldn’t help but watch those remaining kilometres ticking down. 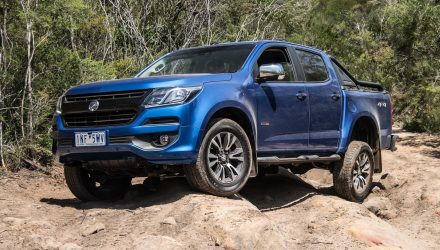 It does provide a real-world range of at least 450km though, which is probably more than enough for a few trips to work and back. 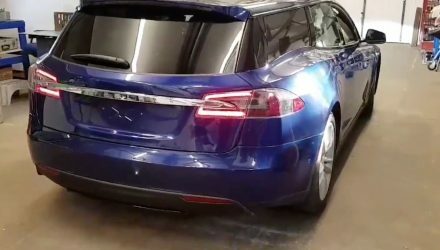 To recharge it from completely flat, using a special Tesla wall mount system that needs to be installed in your garage, it costs under $20, depending on the time of the day and your local rates. That’s a small price to pay for something this quick and this premium. It’s a shame Tesla doesn’t offer charging via a regular 240V plug for when you visit the relatives and so on.